The Internet used to be referred to as the “information superhighway,” but that implies that information is a lot more linear than it really is. In truth, the Internet is more like an ocean of data, and it can be easy for an Internet marketer to find himself or herself hopelessly adrift without some kind of navigation. This can be especially true when it comes time for these marketers to make improvements to their lead generation websites in the hopes of driving more sales leads their way. The raw conversion numbers they receive from Google Analytics and other reporting platforms can provide them with some guidance, but too many marketers don’t go deep enough into the data to give themselves the right amount of information. Only through validating and tracking all website conversions can marketers gain the essential data they need to navigate the oceans of information successfully. For example, we at Straight North, an agency specializing in Internet marketing services, have examined more than 1 million website conversions and found that the raw conversion numbers don’t tell as complete a story as many marketers might believe. Although they might think they can tell how many sales leads their sites are generating based on those numbers, the truth is that nearly half of all website conversions turn out to be interactions that don’t result in new sales leads. Whether these conversions are customer service inquiries, incomplete form submissions or job applications, they aren’t what Internet marketers are hoping to get from their lead generation websites. Nevertheless, reporting platforms lump them all together, leading marketers to make some potentially dangerous assumptions. Based solely on raw conversion statistics, an Internet marketer might see one source is generating 100 conversions a month and another is generating 50 conversions a month. That marketer might assume that the first source is better at generating sales leads and devote more resources to it as a result. 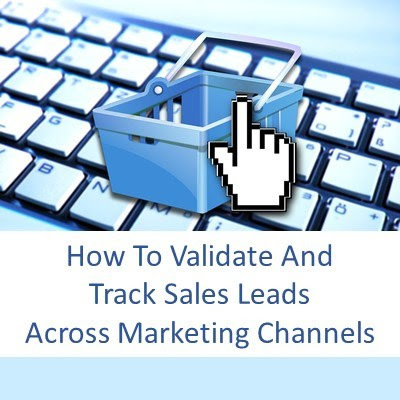 However, if the lead validation and tracking process was applied to those conversions, the marketer might find out that only 25 of the first source’s conversions were true sales leads, while all 50 of the second source’s conversions lead to new customers. Without that crucial data distinction, the marketer could unwittingly set sail in the wrong direction. Implementing lead validation and tracking requires a little extra work on the part of the Internet marketer, but its importance cannot be overstated. Being able to understand what a site’s conversion statistics truly mean is the key to avoid becoming lost at sea when it comes to navigating the oceans of data Internet marketers have at their disposal. 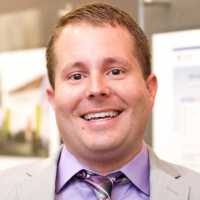 Matt Cannon is Director of Web Services at StraightNorth, an Internet marketing firm that specializes in SEO, PPC and web design services. He manages all web development activities, making sure that each project is applying current development standards and techniques.